5 Piece Place Setting of Michelangelo in Honey - is currently on backorder. You may still purchase now though and we'll ship as soon as more become available. Smooth simple rounded handles with a touch of decoration, our Michelangelo collection is as versatile and accomplished as it a namesake. Available in three colors. Named after the Renaissance Man, this collection is a celebration of the classical. 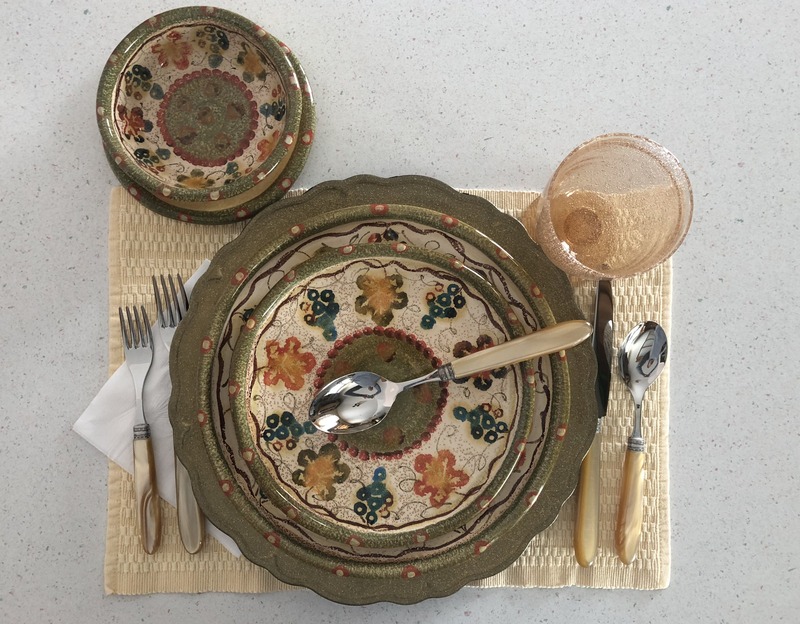 Simple, functional and beautiful it offers the versatility to pair with either a casual or a more elaborate tablesetting. We purchased our lovely Modigliani Stoneware while living in Sicily. After returning stateside, I was glad to find an outlet to order the remaining pieces that I desired. I love my BEAUTIFUL new FLATWARE that compliments the Stoneware so nicely!